Can I Be “Partially” Disabled Under Workers’ Compensation? Workers’ compensation is one of the more complicated areas of personal injury law. One reason for this is benefits are classified based on the type of injury suffered and the employee’s projected ability to resume working. An employee may have a “permanent” injury that does not necessarily render them totally disabled. But sometimes there are disagreements between employees and judges over the accuracy of an impairment rating. Here is a recent example. In this case, a delivery driver suffered a back injury while loading a truck. This was not the first time the employee was injured at work. Two years earlier he sustained another back injury. He eventually settled his workers’ compensation claim for that injury, agreeing that injury resulted in a 15 percent permanent partial disability rating. Initially, the employer rejected the employee’s new workers’ compensation claim, arguing he simply aggravated his back injury from two years earlier. But after a doctor determined this was in fact a new injury, the employer agreed to pay benefits. A dispute then arose over the degree of the employee’s new disability. At a workers’ compensation hearing, the employer and employee presented conflicting expert testimony. The employer’s expert said that, taking into account medical restrictions on the employee’s ability to work going forward, his permanent disability rating should be around 32.5 percent. 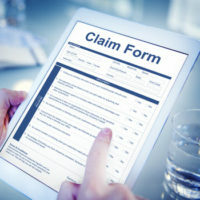 The employee’s expert, in contrast, said that taking all factors into account–including prolonged absence from the job market, ongoing back pain, and diminished earning capacity–the employee suffered a 100 percent or “total” disability. The judge disagreed with the total disability evaluation but nonetheless decided the employee sustained a permanent partial disability of 44 percent, somewhat higher than the employer’s expert claimed. The employee appealed the decision. The Tennessee Supreme Court’s Workers’ Compensation Appeals Panel affirmed the judge’s decision, however, noting he was entitled to give greater weight to the testimony of the employer’s expert witness. The panel noted the employee’s expert relied on evidence–include the aforementioned pain and absence from the job market issues–rejected as irrelevant by the trial court. In any personal injury case it is essential to provide the judge (or jury) with as complete a picture as possible of your injuries. You cannot simply walk into court claiming to be totally disabled or unable to work following an accident. The court needs to see not only detailed medical records, but credible expert testimony that corroborates your claims. All of this requires a great deal of time and effort. An experienced Knoxville personal injury lawyer can help you with your case from start to finish. Contact the offices of Fox & Farley, Attorneys at Law, to schedule a consultation with one of our personal injury lawyers today.